Seamlessly extend your Invoicing experience to your apps too. 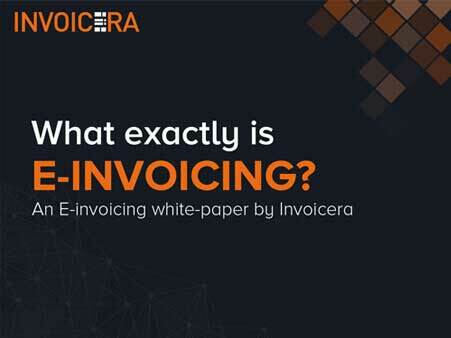 The Invoicera API allows developers to develop custom apps on the Invoicera platform. Invoicera API provides you another way to access your Invoicera data and enables the third-party and custom tools to programmatically access and interact with the Invoicera service. Invoicera API responds to requests in an XML format and is programming language-neutral; enabling you to build applications in a language you are familiar with. The XML API enables you to interact with Invoicera programmatically via HTTPS requests. Please note the use of 'https://' in the above URL. All Invoicera API communication is encrypted over HTTPS. All non-secure requests are automatically rejected, and we recommend establishing a test connection with the secure API point of entry before sending any sensitive data (for e.g. your secret API key). By default, all accounts have a request limit of 5000 (only create methods) API requests per day and rest methods have no request limit. Every request must mandatorily include the Authorization HTTP header. Use the API token as the username, and "X" (or any random text) as the password (only the API token is used for authenticating an API request). Your API token can be found by logging into your Invoicera account, clicking on the "My Account" link under the "Settings" button in the upper-right-hand corner, and then clicking the "Invoicera API" tab. If a request succeeds, it will return a status code in the 200 range and often, an XML-formatted response. If a request fails, a non-200 status code will be returned, possibly with error information in XML format as the response's content. Most error codes follow the HTTP error_code format and have similar meanings.